Practical Application: Low-speed, TV-news-saturating chase as O.J. ran from police after his wife and her friend were found murdered. 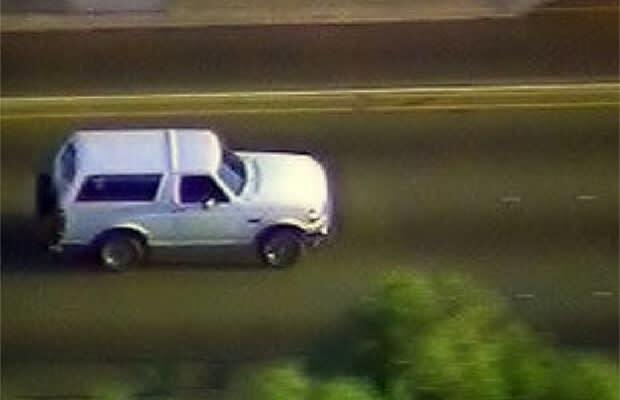 This Bronco chase arguably resulted in a death of its own: the death of the Ford Bronco SUV. After it became an international punchline during this incident, the Bronco was discontinued two years later.